Head to mountatop Hot Spring guesthouse, hang out and soak. This two day tour brings visitors from Taipei to Yushan (Jade Mountain) National Park, home of the Formosan Black Bear. We’ll spend some time first learning about the habitat, habits and life cycle of Taiwan's unofficial national animal at the Formosan Black Bear Education Center in Yuli, learning about the landscape, ecology and tribal cultures of Taiwan’s central mountain range. Later we’ll explore the scenic Rift Valley, have two great meals together and spend the night soaking and relaxing in a traditional hot spring guest house. The next morning we’ll set out early for a guided 4.9km hike into Jade Mountain National park, considered by many to offer some of Taiwan's most stunning scenery. 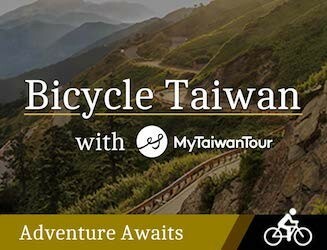 You’ll come away from the experience with an unparalleled understanding about the flora and fauna of Taiwan’s central mountains and, we hope, a strong desire to trek even further in the future. You’ll be met at Hualien Airport and whisked to Yuli township, home of the Formosan Black Bear Education center where you’ll spend the morning learning all about the habits and habitat of Taiwan’s national animal from a local ranger. For lunch, an excellent fusion Tribal / Hakka meal at a local restaurant, after which we’ll spend a few hours exploring the beautiful Rift Valley and eastern coast before settling in for the day at one of the area’s best traditional hot spring hotels to soak and rest up for tomorrow’s hike into Formosan Bear Country. Head to mountaintop Hot Spring guesthouse (TripAdvisor 3.5 star), hang out and soak. Farm to table dinner at guesthouse, after which you’re free to soak and relax for the rest of the evening. This is very cool tour that so different than any others. We were guided by professional mountain rangers and they show us really interesting stuff about Formosan bears! The hiking in Jade Mountain is really peaceful, we were lucky the weather was really amazing. The hostel we were staying is super cozy and relaxing. We would love to come back again. 78 people have browsed this in the last week.